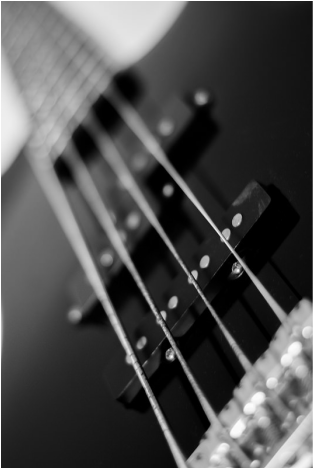 The bass has 2 very important jobs: it keeps time with the drummer and it also dictates the harmony. The guitar also does these 2 things when they play, but bass offers a new perspective on what this means. When playing time as a bassist, you learn to respect the duration of each note. Not every quarter note is made equal! When walking a bass line where every quarter is a different duration, then the time will be constantly changing. No good! This is a very valuable lesson in time keeping learned on the bass. Learning how to play good, harmonically bass lines is a lot different than just playing chords. You learn how to smoothly get from chord to chord with good voice leading. These are just 2 examples of the many benefits of learning bass as a guitarist. Don't give up on your 4-string brethren!